The JDC Entwine Global Jewish Service Corps Fellowship (JSC Fellowship) offers young Jews the opportunity to directly engage with JDC’s global mission while actively fulfilling the value of global Jewish responsibility. Launched in 1987, the JSC Fellowship places recent college graduates and young professionals in year-long service opportunities in global communities served by JDC. Today, the JSC Fellowship is internationally recognized for providing leadership development through global service with a Jewish values lens. Applications are now closed for the 2019-2020 Global Jewish Service Corps Fellowship. WHO’S A GOOD CANDIDATE FOR THE JSC FELLOWSHIP? JSC Fellows are emerging and rising young leaders in their 20s and 30s who have demonstrated interest in public service or humanitarian work and global Jewish causes. Successful candidates are independent, mature, and flexible. They have a sense of adventure, balance humility with curiosity and exhibit strong interpersonal skills. They have some work experience and a college degree or equivalent. Knowledge of foreign language(s) and Jewish education is a plus, but not a requirement. WHAT DOES THE JSC FELLOWSHIP LOOK LIKE? Fellows are matched with communities seeking someone with their talents and skills. Through their field placements, Fellows contribute to community life while developing their leadership capacity and knowledge of global Jewish causes. Ongoing learning, including three leadership retreats and monthly coaching, support the fellow’s growth, developing leaders who have a global mindset and a powerful skillset. Know someone who would be a good fit for the JSC Fellowship? Nominate them HERE. Desired Qualities for Fellows in these Placements: Experience working with teens, program/event planning, engagement/recruiting, informal Jewish education, networking/relationship building focus on community development & sustainability, active listener, ability to develop strategy. Placement Spotlight: Tuli Skaist served as a JSC Fellow in Turkey in 2017-18. As a Jewish Educator, he brought his ability to teach, listen and reflect on Jewish history and education to his role. 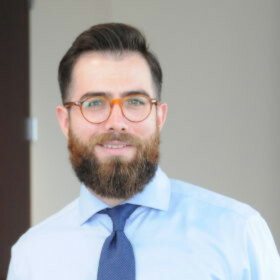 He worked with the Jewish School in Istanbul in order to build curriculum and develop strategy and has greatly contributed to assisting the Jewish community in exploring its collective Jewish identity. Some highlights from his year include developing Jewish events for teens and young adults and attending BBYO’s International Convention with the first-ever Istanbul delegation. Today, Tuli is staying on for a second year as a Senior JSC Fellow to continue the work he began. Desired Qualities for Fellows in these Placements: Compassion, experience with at-risk youth, long-term experience living in developing countries, flexible, open-minded, resilient, comfortable working in challenging physical environments. Placement Spotlight: Lucy Cohen served as a JSC Fellow in 2017-18 with Gabriel Project Mumbai (GPM), an organization that cares for vulnerable children and communities in the slums of Mumbai. Lucy studied product design and gender issues in international development while at the University of Leeds. During her time in Mumbai, Lucy’s role was twofold: she facilitated Jewish learning curricula and coordinated the India Experience, a short-term volunteer program for college students and young professionals to engage with GPM. She also managed and grew Naya, a women’s empowerment paper recycling social enterprise based in Kalwa slum. 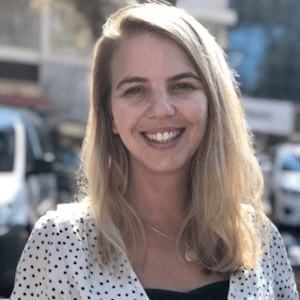 Following her year in Mumbai, Lucy was hired as the Volunteer & Education Manager at Tzedek, which aims to provide a Jewish response to global poverty. Desired Qualities for Fellows in these Placements: Background working and volunteering for social causes, desire to work in a unique organization devoted to social justice, openness to working in an office environment, a strong academic background in one of the following fields: Psychology, Sociology, Public Administration, Information Science, Public Health, Statistics or any related field of study, knowledge of Arabic, Hebrew or Russian is a plus. Placement Spotlight: Deborah Sachare is currently serving as a JSC Fellow in Jerusalem where she works with Israel-Unlimited, JDC-Israel’s Center for Disabilities, developing programs to meet the needs of Israel’s disabled. As a conflict resolution practitioner, Deborah holds a M.S. in Negotiation and Conflict Resolution from Columbia University and through her education, research experience, and time abroad, has developed a deep passion for global social justice issues in the Jewish context. At Israel-Unlimited, Deborah works on a team to coordinate a Conflict Management and Mitigation grant from USAID West Bank/Gaza and the U.S. Embassy in Israel. This grant, entitled “A Community of Equals,” seeks to bring together individuals of different backgrounds from areas of conflict in people-to-people reconciliation activities through the prism of disability. The JSC selection process is a rigorous and designed to identify 12-20 top candidates. A complex matching process encompassing several interviews ensures that each placement is filled by a candidate with the necessary qualities, skills, and talent to have a successful JSC experience. January 4, 2019: Applications Due (Please note a complete application includes (1) Application Form (2) Personal Statement & Video Form (3) Two submitted recommendation letters). January 31, 2019: Applicants notified on application status & receive invitations for Online Interviews. February 8, 2019: Applicants notified on application status & receive invitations for in-person Group Interviews. February 25 & 27, 2019: Group Interview Days in New York City (please save these dates). Late March 2019: Applicants notified on application status & receive invitations for Finalist Interviews with JDC Global Field Staff. Early May, 2019: Final acceptances offered. Andrew is serving as the JSC Fellow in Kharkov, Ukraine. Working with the local Jewish community, Andrew plans and facilitates youth camps, Shabbatonim, leadership training platforms, and community-wide programs for Jewish children, teens, and families. Andrew also works with the Kharkov municipal youth council, aiming to improve the quality of life and wellbeing of all of Kharkov’s residents, Jews and non-Jews alike. Originally from Manchester, Andrew’s “unhealthy obsession” with Eastern Europe and other Russian-speaking countries is self-confessed and has constantly taken him far from home. A recent graduate of St Andrews University, he read Russian and Modern History. Further to studying in Moscow and St Petersburg, he has ventured from the Western border of Ukraine to Lake Baikal in the heart of Russia via places such as Kazakhstan and Kyrgyzstan. All told, that area of the worlds holds a certain fascination for Andrew. 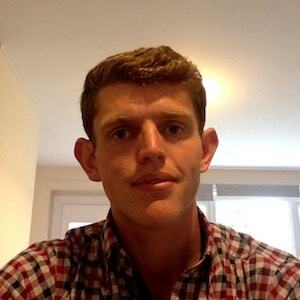 Whilst at university, Andrew was heavily involved in the Jewish community on campus, spending three years on the committee, one of which he spent as president. A keen sportsman, he represented the university cricket team whilst also playing football, golf, and skiing. He can often be found talking about sport and as a good Mancunian, has a soft spot for Manchester United. Deborah is serving as JSC fellow at Israel-Unlimited, JDC-Israel’s Center for Disabilities, developing programs to meet the needs of Israel’s disabled and to advance independent living and integration of people with disabilities into Israeli society. Deborah recently earned her M.S. in Negotiation and Conflict Resolution from Columbia University. Her graduate thesis was inspired by her 2017 JDC Entwine Multi-Week Fellowship at the Agahozo-Shalom Youth Village in Rwanda and explores identity-based conflict. In 2016, Deborah was selected as a fellow for the Center for Conflict Resolution in Uganda. There, she carried out research on climate change adaptation which built on her B.A. from Barnard College in Environmental Policy. Deborah works full-time in higher education advising and program coordination. She also enjoys teaching kindergarten at her childhood synagogue in Westchester, New York and singing in New York City with the Young New Yorkers’ Chorus. Through her education, research experience, and time abroad, Deborah has developed a deep passion for global social justice issues in the Jewish context and looks forward to building on this foundation as a JSC fellow. Dov is serving as a JSC Fellow with the Gabriel Project Mumbai, an organization that is caring for vulnerable children and their communities in slums of India, as a response to poverty, malnutrition, ill-health hunger and child labor in India. Dov will coordinate and lead Jewish curriculum for JDC Entwine’s Multi Week Fellows who serve with GPM for two-month sessions throughout the year and will assist with GPM’s development efforts. 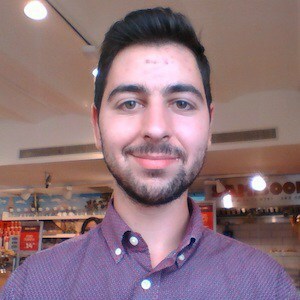 Dov has just finished studying Philosophy Politics and Economics at Oxford University, having previously spent a year at yeshiva. He is passionate about Judaism and communal and inter-communal relations. In his role as President of the university’s Jewish Society, he focused on strengthening the society’s interdenominational unity, and successfully improved its relationship with the university’s Labour Club. He is keen to interact with and learn from people from other cultures and to support communities. This led him to spend a summer running summer camps in schools in Shanghai, China as well as to participate in the British Chief Rabbi’s Ben Azzai Programme, which went to Accra and Tamale, Ghana. He is eager to better understand Middle Eastern societies and cultures, and aspires to learn Arabic. In his spare time, he loves to read, play badminton and squash, learn guitar, and go for a cycle in a new city. 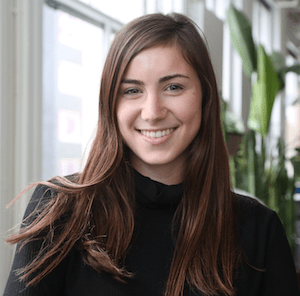 As the Global Jewish Service Corps Fellow in Krakow, Poland, Gaby assists the Jewish Community Center staff in the development of new and innovative programs, as well as in the development of their social media platforms and online presence. She engages with visitors from all over the world teaching about emerging Jewish life in Poland through interactive tours of the JCC and the community. Gabrielle was born and raised in Johannesburg, South Africa. At the age of 18 she moved to Israel, where she spent time on a kibbutz prior to pursuing her undergraduate degree in Government from the IDC in Herzliya. In her final year of studying Gaby was selected to be part of the Argov fellowship, for leadership. She then went on to obtain her MA in International Political Economy from the LSE in London. 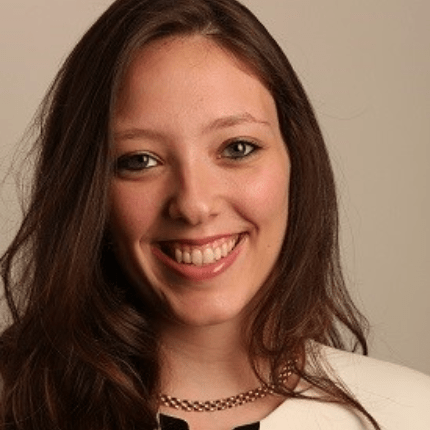 Gaby works in Israel’s charity sector and focuses on impact with a keen interest in social impact investment. Aside from her work, Gaby also runs a small giving circle in Tel Aviv. In the past year, Gaby begun studying for her second master’s degree in Migration Policy, which she plans on completing upon her return to Israel. Gaby loves a great television series and is a self-confessed podcast and documentary addict. Gili is serving as a JSC fellow in JDC Israel’s Ashalim department, which develops initiatives for disadvantaged Israeli youth. Gili is teaching English at several high schools in the city of Bat Yam while also being a mentor and a role model, helping students who come from low socio-economic background improve their quality of life and their chances of fully integrating into mainstream Israeli society. Gili is a recent graduate from Muhlenberg College where she studied Philosophy and Religion Studies. At Muhlenberg, Gili played an active role in Jewish life on campus where she developed her passion for Israel education, informal Jewish education, and Jewish communal work. As the founder and president of an Israeli culture club, Gili actively sought out new and different ways to bring Israel to campus. 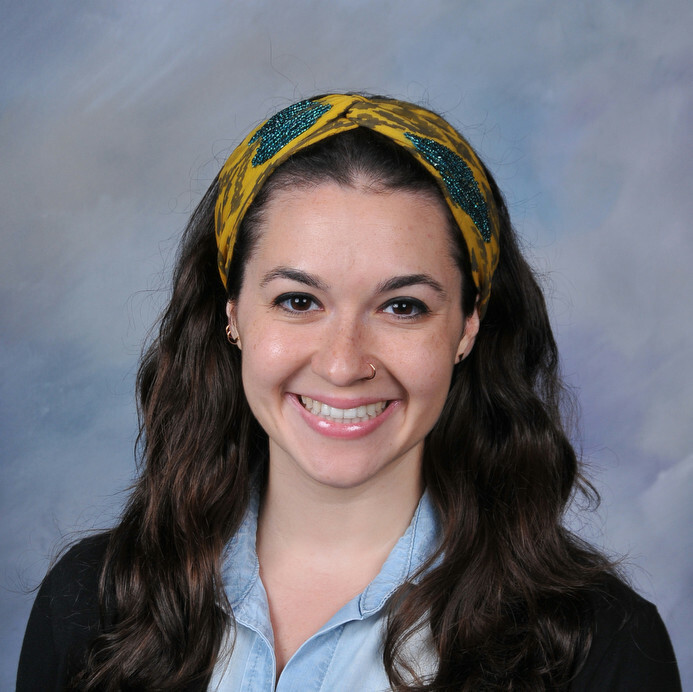 Throughout college, Gili spent her summers at Pinemere Camp as a counselor and Jewish educator where she discovered her passion working with and teaching youth. It was at camp that Gili truly understood the power and meaning that rests in the learning that happens outside the classroom. In her free time, Gili enjoys going on hikes and adventures, long car rides with fun playlists, traveling to new places and listening to live music. Jessica is serving as the JSC fellow in Budapest, Hungary. In her role she is identifying opportunities for Jewish teens, creating innovative programs for the local youth movement, and building youth leadership capacity through trainings and camps. Jessica, a native Seattlelite, recently graduated from New York University with a B.A in the Gallatin school of Individualized Study. Jessica created her curriculum and degree focusing on criminal law, race, politics and international human rights. As a teen in BBYO Jessica traveled to Bulgaria, Poland, and the Ukraine. Jessica lived abroad in Israel and Berlin and has decided to continue learning and creating impact abroad. Jessica in 2006 founded a non-profit working in Rwanda to provide educational opportunities for young women. The organization twelve years later continues to provide scholarships and is currently launching their new social enterprise–The Abari Collective. Jessica carries a passion for social entrepreneurship and is excited to bring her love for Judaism and Tikkun Olam to Budapest. 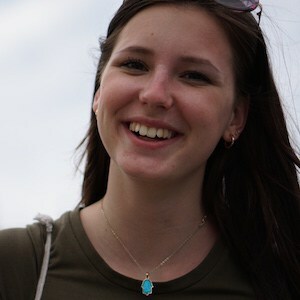 Jessica loves to connect with people around the globe, particularly through her Judaism and is ecstatic to join the Budapest community. Molly is serving as the JSC Fellow in Riga, Latvia. 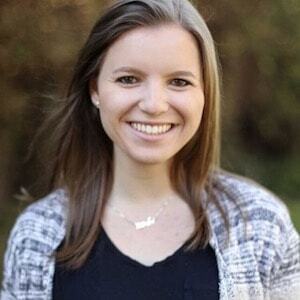 Working at the Jewish Community Center, Molly is creating and facilitating innovative informal Jewish educational programming, training youth leaders, and developing curriculum for the local Jewish kindergarten. Molly is a self-proclaimed expert at playing Midwestern Jewish geography. Jewish organizations throughout Cincinnati, Cleveland, and Milwaukee helped raised her. Molly’s passion for community building is largely attributable to her involvement in JCC life, BBYO, and campus organizations. As a Nachshon Project Fellow, Molly studied at Hebrew University in Jerusalem where she gained exposure to Judaism’s rich diversity. A recent graduate of the University of Wisconsin- Madison with a degree in Psychology and minors in Jewish Studies and Criminal Justice, Molly also served the greater Madison community through Badger Volunteers. 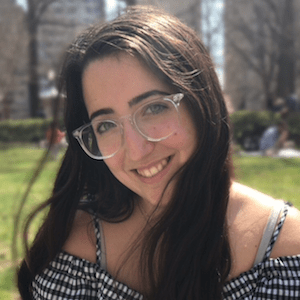 Molly has been “drinking the Kool Aid” of overnight Jewish camping throughout most of her life, first as a young camper at Cincinnati’s Camp Livingston and later as a counselor and unit leader at Milwaukee’s Camp Interlaken. In her spare time, Molly enjoys yoga and Zumba classes, trying new restaurants, and making friends with other people’s dogs on the street. Ruthie is serving for a second year as a Global Jewish Service Corps Fellow in Istanbul, Turkey. Ruthie is working to enhance and enrich teen programming and youth leadership initiatives, as well as develop community-wide programs and long term strategies for young adult engagement. Both Ruthie and Tuli will spend some time working at the local Jewish School in Istanbul, utilizing their skills in informal and formal education. Ruthie has always had a passion for art and education so it’s no wonder that throughout her educational and professional life she has made time for both. After completing her BA in Fine Arts, Ruthie went on to pursue an MA in Jewish Education and to teach Jewish Studies to high school students in Los Angeles. In her role as a teacher she developed new curricula for her classes and took lead on developing the Holocaust education program at the school. After six years of teaching, Ruthie decided to take a break and pursue her artwork full time. Since her start in August 2016, Ruthie has completed dozens of commissioned pieces for clients around the world, including Canada, Israel, Australia, and throughout the United States. In her free time Ruthie enjoys practicing yoga, cooking for friends, and traveling the globe with her husband, Tuli. As the Global Jewish Service Corps Fellow in Mumbai, India, Sydney is working with the local Jewish community to develop leadership training platforms, plan programming for youth, teens and young adults, and support existing cultural programming. Sydney recently graduated from Emily Carr University of Art and Design in Vancouver with a BFA in Photography and a Minor in Social Practice and Community Engagement. 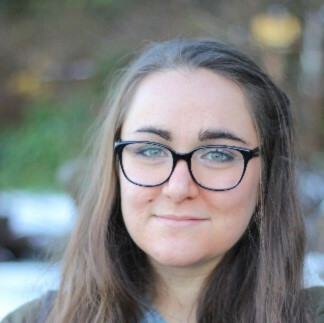 Working extensively with diverse Jewish organizations including Taglit-Birthright Israel, Szarvas Fellowships, Chabad on Campus, Hillel, NCSY, Habonim Dror, Hasbara Fellowships, and USY, amongst others, she has developed strong relationships with Jewish communities both in Israel and across the Diaspora. 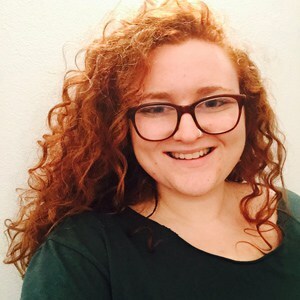 She spent her gap year in Israel and has returned many times since, both on her own and on educational and volunteer programs including Habonim Dror Workshop, Sar-El Army Volunteering, Machon Alte Seminary, JEWEL, and Hasbara Fellowships. Sydney is a practicing artist, blending photography and textiles with her passions for Jewish enrichment, focusing on contemporary Jewish identity and Holocaust education. Through an internship at the Galicia Jewish Museum in Kraków, Poland, and her work at Szarvas Camp in Hungary she has furthered her research into contemporary Jewish history particularly relating to Eastern European communities. She is looking forward to spending the year working and growing in the Jewish community of Mumbai. Tuli is serving for a second year as Global Jewish Service Corps Fellow in Istanbul, Turkey. Tuli is working to enhance and enrich teen programming and youth leadership initiatives, as well as develop community-wide programs and long term strategies for young adult engagement. Tuli is a Los Angeles based educator and activist who is passionate about building bridges between people. Within the Jewish community, Tuli has used his eclectic Jewish background and Kevah-Teaching-Fellowship training to help people find their place in the study of Jewish text and perpetuate the idea that a more inclusive Judaism is a more meaningful Judaism. Along with his Jewish and Muslim colleagues from the Newground fellowship, Tuli created “Two Faiths, One Prayer”, a project that promotes shared spaces of worship. A short documentary about the experience has been viewed by over 250,000 people worldwide. Professionally, Tuli spent the last two years working at JSF Financial, a financial planning and wealth management firm. Prior to that, he taught Talmud at Shalhevet High School. Tuli loves to travel the world with his wife Ruthie, and enjoys a good conversation, book or podcast, preferably outdoors and in the vicinity of live music. Tina is serving as the JSC fellow in Tallinn, Estonia. She is creating and innovating informal Jewish educational programming and youth leadership programs in Tallinn and throughout the Baltic region. Tina was born in Hungary and finished high school there. She continued her studies in the UK and graduated from Manchester Metropolitan University, where she studied Events Management. Growing up she had been involved with youth organizations and camps, such as Szarvas Int’l Jewish Youth Camp. Her involvement with the Jewish Community started in Szarvas Camp and continued through her university studies. Tina spent her summers in camps, where she held different leadership positions and currently she is working as a unit head in the camp’s life. Additionally, she was an active member of the Jewish Society in Manchester, where she organized balls for the society members. Whilst her studies she volunteered as the representative of the Jewish Student Community Synagogue, where she organized events and celebrations. Tina’s hobbies include hora dancing, cooking and traveling around the world, which made her even more excited about her next year in Tallinn, Estonia.